Camso, formerly Camoplast Solideal, is offering even more value for riders with its Snowrush Program for the newest model of the company’s dirt-to- snow bike conversion system. The Program will allow customers and dealers early access to the 2019 Camso DTS 129, plus extras to further the experience. Customers pre-ordering the 2019 Camso DTS 129 between March 7 and May 11 will be eligible for the Snowrush; with the 2019 Camso DTS 129 will come a voucher for a personalized graphic wrap kit to make customers ride one of a kind. The Snowrush Program also features a functional wheel kit that makes it easy to move the snowbike from the garage to the trailer. “Dirtbike and snowmobile riders are passionate about the sport and their ride, and they love to customize the look of their machine. With the Snowrush Program, we’re allowing them to stand out and move their bike around, as well as giving them early access to the new model,” explains Bruce Dashnaw, Sales &amp; Marketing Executive Director –Powersports, at Camso. 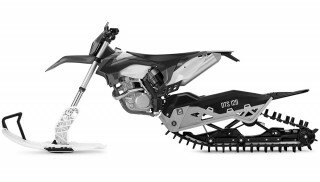 The new Camso DTS 129 provides riders with the perfect combination of deep snow performance and better handling so they can reach deep snow terrain smoothly. 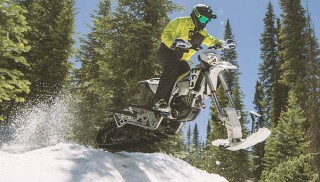 Providing the best of both worlds, this latest generation of dirt-to- snow conversion system will offer more of a motocross feel to the ride in all types of terrains. Camso&#39;s high-performance track is fitted with the unique single-rail suspension technology. Enthusiast snowbike riders can take advantage of the Snowrush Program through their nearest dealer between March 7 and May 11. For a list of dealers, go to camso.co/en/find-a- dealer.